In 2018 the SAMR maintained a rigorous and prudent attitude towards merger control review. There was a significant increase in the number of cases concluded and the efficiency with which they were done so. As regards the cases which were conditionally approved, the SAMR imposed various tailored conditions. In addition, the SAMR investigated more non-filing cases and imposed more penalties on non-filers compared with 2017. No material changes were made to the merger control rules in 2018. Further, the proposed Measure for the Review of Concentration of Business Operators (Revised Draft) has yet to be finalised. However, the above amendments concerned only the wording of the guidelines due to the institutional reform. In addition, the Measure for the Review of Concentrations of Business Operators was materially revised and released for public comment. However, the official version of the measure has not been approved. Therefore, the measure published in 2009 still applies. According to data published on its website, the SAMR unconditionally approved 444 cases in 2018 – a significant increase from 325 in 2017. Among these cases, 359 were concluded in phase one (ie, within 30 days from the acceptance date), which accounts for 80.8% of all cases. Review efficiency increased considerably compared with 2017 (76.9% cases were concluded in phase one). As regards simple cases, 362 were concluded in 2018 (81.53% of all cases). The proportion of simple cases increased slightly compared with 2017 (80.6% of all cases). On average, simple cases took 16 days to be concluded, a notable reduction from 24 days in 2017. Of these cases, 99.4% were concluded in phase one. This demonstrates that the simple case procedure has played an active role in enhancing the efficiency of concentration filing, particularly in terms of reducing review time. However, in practice, strict rules concerning the material and data required by the SAMR still apply. In particular, during the pre-review stage (before official case acceptance), notified parties must often submit detailed materials. Therefore, this requirement may also extend the wait time before case filing. In 2018 the SAMR conditionally approved four cases. The figure below illustrates the number of cases which were conditionally cleared between 2009 and 2018. These cases touched on industries relating to agriculture, lenses, the chemical industry and aerospace. Further, the relevant products were highly technical (eg, the Monsanto/Bayer case concerned pesticides, seeds and the digital agriculture market; the Linde AG/Praxair case concerned the production and service of industrial and special gases; and the Rockwell Collins/United Technologies Corporations case concerned aircraft manufacturing). Among the cases, the shortest review period was 372 days(7) and the longest was 428 days. (8) This is calculated from the date of submission of notification documents (rather than the date of official acceptance) to the date of receiving conditional approval. the SAMR takes a more rigorous approach to competition analysis – requiring higher levels of authenticity, completeness and material accuracy – and spends more time communicating with the filers and other parties. The following features of the conditionally approved cases may reveal the SAMR's review practice and trends. Notable calculation method of market share in overlapped products In the Rockwell Collins/United Technologies Corporations case, the SAMR believed that the concentration would result in the parties obtaining a share of 65% to 70% in the global adjustable horizontal stabiliser actuator market. Based on the product's total volume, the market share would be only 40% to 45% after the acquisition. However, the SAMR believed that the part produced by aircraft manufacturers for their self-use would not enter the market; as such, that part was excluded. This would result in the market share of the merged entity increasing to 65% to 70% after the acquisition. The exclusion of the self-use part from the calculation of market share also happened in the global rudder brake pedal system market. This calculation method would make the total market volume shrink and the market share increase, which would have a material change on the evaluation of competition. Frequently used economic analysis and market research In all four of the above cases, the SAMR conducted an economic analysis during its review. Three of the cases directly disclosed the increment of the Herfindahl-Hirshman Index before and after the transaction. (10) Further, in the Essilor International/Luxottica Group case, the SAMR stated that the "analysis of critical transfer ratio of wholesale price and margin profit shows that...", which also implied that the SAMR used economic analysis to review the case. In the Essilor International/Luxottica Group case, the SAMR also conducted market research twice. All of these observations indicate that methods such as economic analysis and market research are frequently used in merger review. The United Technologies Corporations would have the most comprehensive product portfolio in the aviation parts industry after the transaction. With the advantage or even dominant position in the market, it could be capable of bundling or tying those parts or with other parts in the course of their sales. continue to timely and stably provide Chinese customers with inert rare gas mixture, fluorine-containing rare gas mixture and hydrogen chloride rare gas mixture at reasonable prices and quantities after the concentration. not materially change the existing business model, including the current bidding model and subcontracting practices; and ensure that the negotiation in relation to contract terms such as quantities, qualities and delivery conditions are fair and reasonable; and the merged entity shall fully consider the historical and current status after the concentration. Therefore, the concentration would have an adverse effect on competition. Further, in the Essilor International/Luxottica Group case, the SAMR believed that the parties were each other's potential competitor, investing significant R&D funds into each other's leading product market. Essilor and Luxottica may thus become each other's main competitor in the future. However, the concentration would eliminate the constraint and materially restrict market competition. The SAMR pays close attention if one party is a strong potential competitor of the other in a concentration, even if the party's products have yet to enter the market. voluntary reporting by notifiable parties. The non-filing of notifiable acquisitions is usually referred to as 'gun jumping'. The most common oversight of notifiable parties is the non-fulfilment of filing obligations in a step-by-step acquisition. The implement of the first-step transaction indicates that the concentration has started; failure to file first-step transactions with the SAMR will constitute gun jumping. A typical case is Paper Excellence BV's acquisition of Eldorado. The SAMR considers the object of the acquisition and the relationship between the different steps. Notifiable parties must submit their notifications and file with the SAMR before implementing the first step of a package deal comprising several steps. In addition, the SAMR has no mercy for non-filers that failed to file with the competition agency at some point, and it conducts retrospective investigations once a failure has been discovered. For example, Linde Hong Kong was penalised three times in 2018 for its non-filing of three former joint ventures. These joint ventures were established in either 2011 or 2012. It is notable that the SAMR severely punished non-filing which happened seven years ago. other necessary measures (eg, publication). In addition, once penalties have been published, the non-filer's business reputation and social image will be damaged and its subsequent notification or filings with other government agencies may be adversely affected. In 2018 law enforcement under the SAMR remained stable. Due to the rigorous attitude and the high-quality materials required by the SAMR, notifying parties must wait a relatively long time before a case is accepted. As regards conditionally approved cases, the SAMR implemented various tailored conditions which addressed specific competition concerns to eliminate the negative impact of a concentration. Further, the large number of gun-jumping cases and increased fines indicate that the SAMR is gradually cracking down on non-filers, while the proposed revision of the Anti-monopoly Law is expected to lead to an increase in penalties for non-filing. Companies should pay close attention to the nature and pattern of merger control review, as well as the revision of the Anti-monopoly Law. Further, companies are advised to acknowledge the thresholds and criteria of merger filing in order to fulfil their obligations to avoid penalties and any adverse consequences of closing a transaction. 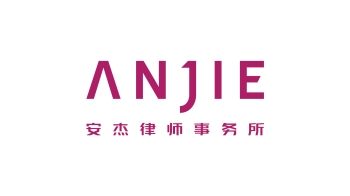 For further information on this topic please contact Michael Gu or Sihui Sun at AnJie Law Firm by telephone (+86 10 8567 5988) or email (michaelgu@anjielaw.com or sunsihui@anjielaw.com). The AnJie Law Firm website can be accessed at www.anjielaw.com. (1) Provisions on the Function, Internal Organizations and Staffing of the SAMR, 10 September 2018. The original provisions are available here. (3) Michael Gu and Sihui Sun, "Merger Control Review 2017", 2 January 2018. (4) The original announcement of the Monsanto/Bayer case is available here. (5) The original announcement of the Essilor International/Luxottica Group case is available here. (6) The original announcement of the Linde AG/ Praxair case is available here. (7) The original announcement of the Rockwell Collins/United Technologies Corporations case is available here. (8) The review period in the Linde AG/Praxair case was 372 days. (9) The review period in the Essilor International/Luxottica Group case was 428 days. (10) 'Traits' refer to the sum of heritable crop morphology and environmental suitability that directly decides performance, including crop production volume, maturity, weight, height, herbicide resistance and pesticide resistance – including transgenic traits and non-transgenic traits. Traits can be classified by species including soybean traits, corn traits, cotton traits and different crop traits – constitute independent relevant commodity markets.